The air we intake comprises of 21% oxygen, whilst 21% is sufficient for people with healthy lungs but not enough for people with chronic lung conditions like COPD. That’s why oxygen therapy (O2 therapy) comes into play. The delivery mode and device used for oxygen therapy depends upon various factors like patient’s specific requirements and the instructions of the medical professionals. Philips Respironics is the most prescribed sleep therapy system in the U.S. by sleep physicians. Goldstein Research analyst forecast that oxygen therapy market size is set to reach USD 2.75 billion by 2024, at a CAGR of 5.5% over the forecast years. The report covers the present ground scenario and the future growth prospects of the Oxygen Therapy market for 2016-2024. We calculated the market size and revenue share on the basis of revenue generated from the sales of oxygen therapy equipment from major players and the prevalence of respiratory, cardiovascular, sleep apnea, pneumonia incidences across the globe. On the basis of disease type, respiratory disorders serve as the catalyzers of the market which accounted for 47.5% market share in 2016 of total oxygen therapy market. Sleep apnea holds the promising future of oxygen therapy market owing to the increasing incidences of sleeping disorders across the globe. Oxygen Therapy Market Outlook 2016-2024, has been prepared based on an in-depth market analysis from industry experts. The report covers the competitive landscape and current position of major players in the global oxygen therapy market. The report also includes porter’s five force model, SWOT analysis, company profiling, business strategies of market players and their business models. Global market report also recognizes value chain analysis to understand the cost differentiation to provide competitive advantage to the existing and new entry players. 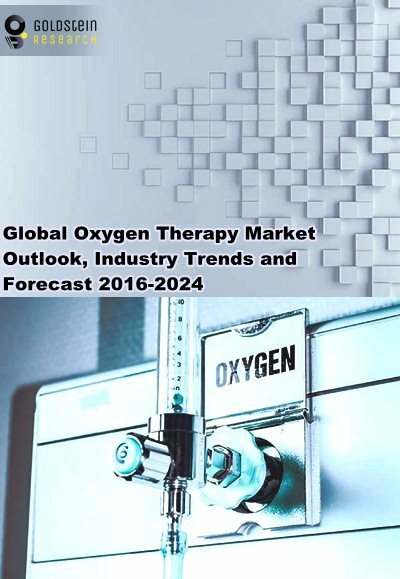 Our global Oxygen Therapy market report comprises of the following companies as the key players in the Oxygen Therapy market: Respironics, Inc., Fisher & Paykel Healthcare Limited, Teleflex Incorporated, Invacare Corporation, AirSep Corporation, CareFusion Corporation, DeVilbiss Healthcare, MAQUET Holding B.V. & Co. KG, and ResMed, Inc. According to the report, major driver for expansion of oxygen therapy market is growing air pollution, particularly in developing countries including China, India, Brazil, etc. and rising prevalence of COPD, Acute Asthma and other inveterate respiratory diseases. Total deaths due to the COPD is projected to increase by 30% in next 10 years, making COPD the third most fatal diseases worldwide, therefore driving the consumer base for oxygen therapy market. Further, the report states that one challenge in oxygen therapy market is Hyperbaric Oxygen Therapy (HBOT) has not attained widespread approval in mainstream medicine. Even though HBOT has more FDA approved indications than any other medical treatment, it remains marginalized in conventional medicine with often a perception of “treatment of last resort”. Based on geography, North America holds the largest market share of 35% in 2016 while APAC is projected to witness the growth with a CAGR of 5.67% over the forecast years. APAC is the opportunistic market owing to increase in geriatric population requiring home-based oxygen therapy, and rising healthcare expenditure. What is the shipments of Oxygen Therapy in 2015-16 and what would be the expected demand over the forecast period?